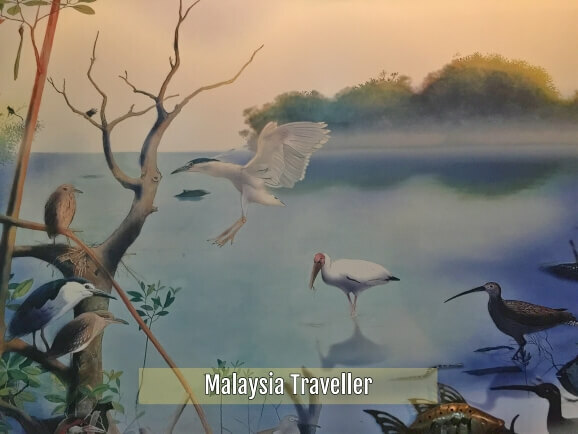 Kuala Gula Wildlife Conservation Centre (Migratory Birds) was set up in 1980 to promote conservation of birds by carrying out bird inventory and census checks, bird ringing, law enforcement, research and community awareness. It is managed by PERHILITAN (Dept. of Wildlife and National Parks, Perak). 182 species of birds have been recorded at Kuala Gula, including common sandpiper, black crowned night heron and other herons, egrets, storks, sea-eagles, terns, kites, greenshanks, redshanks, whimbrels, plovers and waterhens. 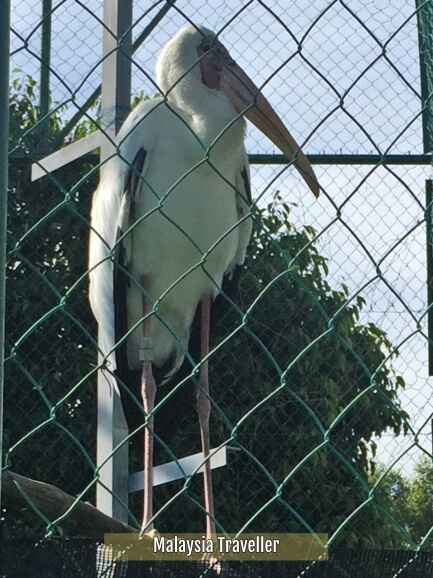 A couple of storks are caged in an aviary at the centre. 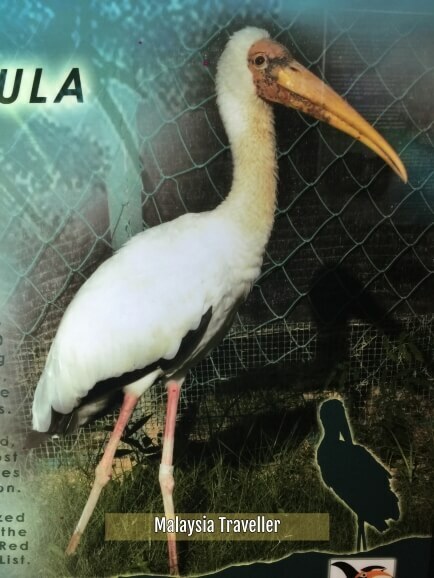 Information is provided on the Milky Stork and the Lesser Adjutant Stork which need mudflats and mangroves to survive and are now rare and facing extinction. The mangroves at Kuala Gula are part of the 40,000 hectare Matang Mangrove Forest Reserve (an area which I have roughly outlined on the map below). Matang has been acclaimed as the best managed mangrove forest in the world. That might be surprising given that mangroves have been thoughtlessly destroyed in other parts of Malaysia but from the map you can see that at least the Matang area seems free of coastal developments and urban sprawl for now. That's the best way to manage mangroves, stay away and let nature look after itself. 'Mangrove forest is a stinky and useless place'. The interpretive centre explains how this is a mistaken view and details the benefits of mangroves in cleaning and filtering tidal rivers, protecting the coastline from storms, tsunamis and erosion, acting as a breeding ground for marine life and providing shelter for migratory birds. Otters, which like mangrove environments, are also featured here. The origin of the name Kuala Gula (meaning sugar estuary) is also explained. The British planted sugar cane plantations here in the 19th century. Visiting Hours are Monday to Friday during office hours. Once the Conservation Centre has whetted your appetite for migratory birds and mangrove wildlife you will want to see some for yourself in real life. 90 minute boat tour along the estuary coast to view migratory birds and see mangrove flora and fauna. 3 hour trip to historic island. 4hr or 8 hr sea fishing trips. 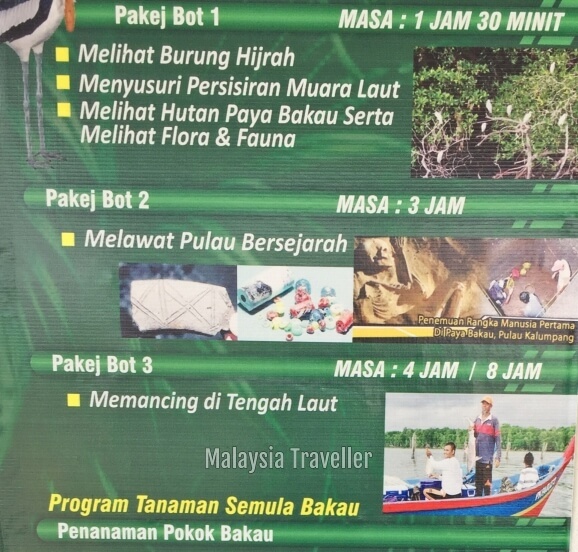 Mangrove planting and other activities can also be organised. Capture the quintessence of Penang with a collection of cards painted by Penang Artists. Glass Bottle Temple Melaka is a small Thai Buddhist temple in Malacca incorporating hundreds of recycled green glass beer bottles in its design. Heng Ann Tian Hou Temple is an attractive Chinese temple dedicated to Tian Hou (Mazu) located on the 3rd floor of the Heng Ann Association building in Melaka. 5,835,496 Unique Visitors Served Since 2011. Over 15 Million Page Visits. Statistics up to end February 2019.